AustinPostcard - The State Captiol, Austin, Texas. 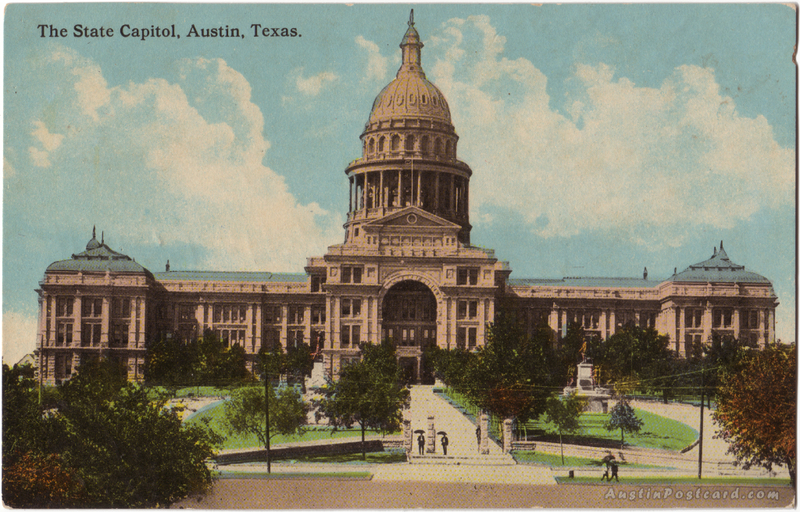 Postcards > State Capitol & Capitol Grounds > The State Captiol, Austin, Texas. The State Captiol, Austin, Texas. Handwriting: Dear Delia, I was glad to get you letter. You ask me how I was I am thirteen. We had company my aunt from Galveston. was up here. I was going back with her but mama said wait until xmas and all of us will go. I got the flower you sent me it was sweet. I hope you will be sure and come next summer. I am sorrow you can't this summer. I guess I must close now. Leo.